Look into these slip-in shoe improvers to help ease pain. 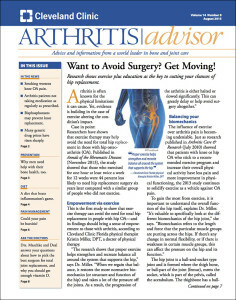 Tags arthritis, arthritis research, hip osteoarthritis, hip replacement, osteoarthritis, total hip replacement. Is Stiffness a Sign of Hand Arthritis?